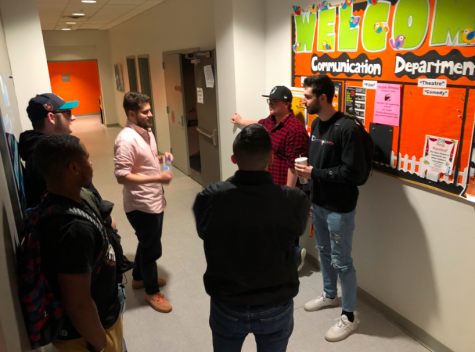 Students gathered in the Martini Room at Hobart Hall on March 5 to listen to the William Paterson Society of Professional Journalist’s Reality Check with Ariel Helwani, host of the Ariel Helwani Show on ESPN and Eric Jackman, producer of the show. 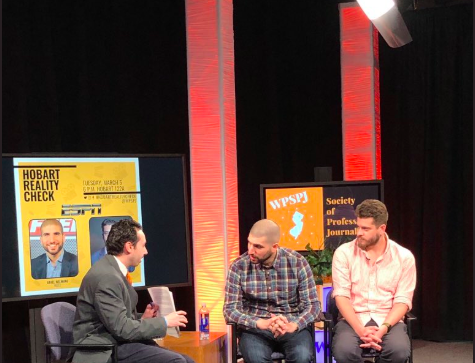 The professionals currently in the communication industry were asked questions by Dr. Nicholas Hirshon to help students be prepared for the real world. Throughout the panel, students were asking the guests questions on Twitter for a live Q&A session. Helwani showed his journalism expertise by speaking about what is going on in the world of mixed marital arts. 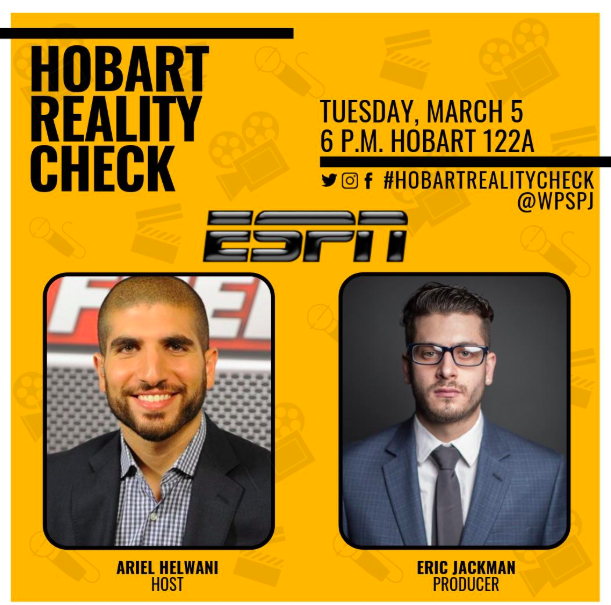 Helwani expressed he began his career at Syracuse University where he hosted his own radio show in a small sized studio. This is what helped him do what he is doing now. Jackman attended Baruch College and emailed Helwani when he was trying to find a job, which is how they eventually met. Helwani and Jackman talked about their experiences in this industry and what students should do to prepare themselves for jobs. They encouraged students to pursue what they love. Even though Jackman had a sales degree, he wanted to begin a career in sports journalism. Helwani appreciated his honesty and wanted a person to talk to, so he accepted Jackman. Jackman also talked about how students should be confident when they contact employers. Most college students fear that they will be rejected. Helwani mentioned that not everyone will be able to find something good right away. Some jobs will have to be worked for. He emphasized the importance of staying focused in order to reach certain goals. One huge lesson that Helwani learned from his time reporting on the Ultimate Fighting Champions is that things do not always come out as positive. Helwani shared a time when he got in trouble because he released UFC news before they did. Despite that, many journalists backed him up. Helwani and Jackman talked about having sources when working in the field of journalism. They both agreed that journalists must have relationships in this field because sources often become assets of the story. One piece of advice he gave was if things get off to a bad start, there is still time to fix it in the future. Helwani and Jackman answered questions at the end of the panel by taking tweeted questions using the hashtag #HobartRealiyCheck. Using a quote by Woody Allen to sum up his experiences, “88% of success is showing up,” said Helwani .